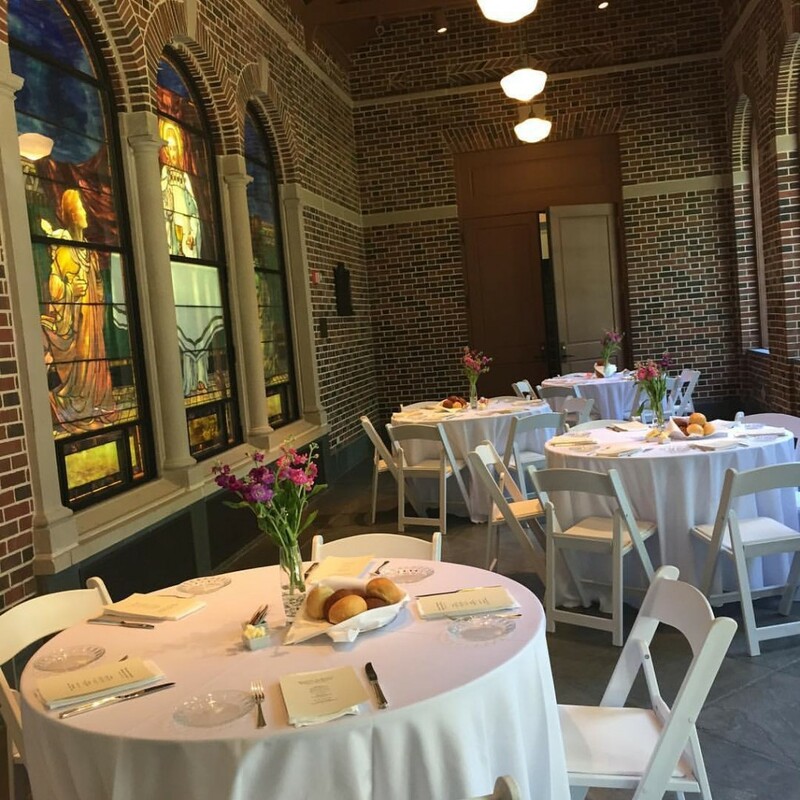 Named for Newcomb Art Department founder Ellsworth Woodward, Woodward Way is a 1,200 square-foot light-filled breezeway graced by two Tiffany window triptychs originally installed in the Newcomb College chapel on Washington Avenue. The rental process is largely self-serve and automated, allowing users to look up and hold dates, independent of museum staff. Rentals are currently limited to Tulane entities. Groups interested in renting Freeman or Stone Auditorium MUST contact the Art Department (865.5327) as they manage both spaces and enforce separate policies. First-time users must request calendar access by emailing ww-reservations@tulane.edu. An invitation will be emailed within 24 hours that contains a clickable button ACCEPT. Once access is secured it remains in effect. Entities are responsible for making sure their online reservations have been completely and correctly made. First-time users may want to download step-by-step calendar instructions available below. Download the rental policies and agreement form at the button below. A signed agreement is required to finalize ALL rentals. The document will give users important information about table/chair rental, TUPD protocols, etc. PLEASE READ CAREFULLY. The museum also maintains a large kitchen (equipped with a full-size refrigerator and oven) that is available for rental. Additional fees will apply. See rental guidelines for information. Entities interested in renting the museum outside of normal operating hours should email staff at ww-reservations@tulane.edu to discuss availability and pricing. Reservations are NOT secure until they appear on the Outlook calendar AND user has submitted a completed agreement form. For questions, please email ww-reservations@tulane.edu.